It’s a new year and we are excited about a few of the design trends showing up around the bend. Check out these fun design themes highlighting sophisticated energy, casual elegance and cozy serenity. A personal favorite of Sarah’s, green hums with life and reminds us of our innate pull toward nature. Let’s face it: nothing is prettier than sunlight setting tree leaves aglow. 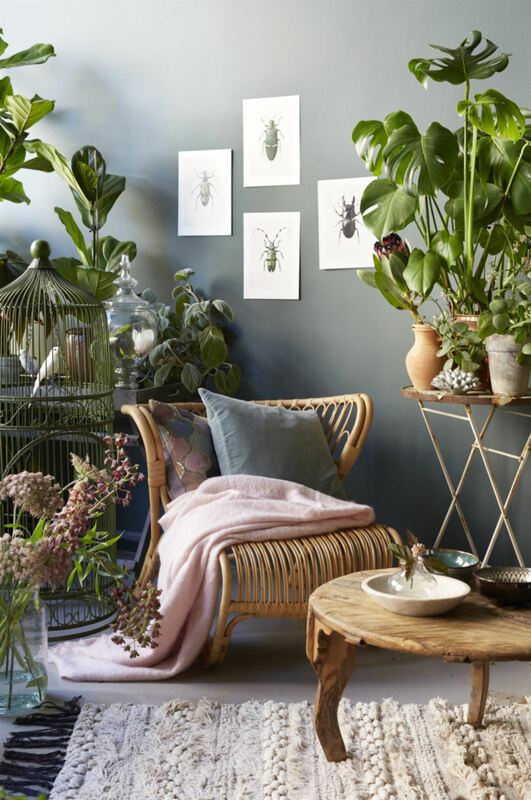 You can bring nature’s vibrancy into your home in a combination of cheerful and muted tones. Deep hunter green creates a soothing anchor in a room of pale neutrals. This pairing of dark green and brass is perfectly yummy. Green loves company. Tone it down with a bit of copper for an inviting sense of age old patina. Unfinished porcelain has captured our fancy. This simple approach to a time honored craft showcases the handmade beauty of each vessel. We all need to unplug from time to time. We love spaces that invite you and your book to plop down and stay a while. The limited square footage of this room is devoted to the daybeds with a view. This sweet reading nook celebrates the storage needs of a big book collection. No alcoves or crannies? No problem. Create your retreat with cozy cocoons of furniture. Share your photos, thoughts or ideas with us! We love to see what inspires you.